You know how candlelight looks good on everyone? Fall is the same way. The cozy sweaters and warm color tones are flattering on all. Fall engagement sessions are for bright red leaves and gorgeous golden hour pics where everyone’s happy and comfy. When everything is rainbow colors, any location from a corn maze to a dirt road is perfect for pictures. These gorgeous fall e-sesh shots are top on the to-do list! It’s October first! Fall is in full swing and we’re thinking of curling up beside the fireplace in a cozy plaid flannel. What’s more perfectly fall than plaid? What’s more perfect for a fall wedding than a plaid theme? It’s festive, it’s colorful, and it makes a great decor statement. Plaid weddings are my design obsession of the week. See if these pictures don’t make you feel the same way. 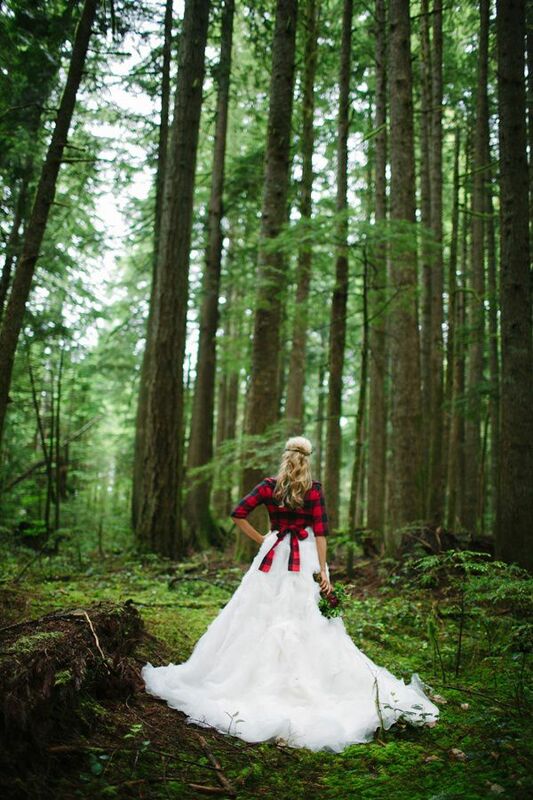 For more plaid wedding ideas, visit our Pinterest board Plaid Lovers Wedding. Mini food is kid-proof and grown up approved. Plus, it’s just more fun. Now, take your favorite comfort foods and make them mini… mind blown! Weddings are all about fun and having all your favorite people in one place. What if you had your favorite people and your favorite foods? It can seem unweddingish to have a cheese burger. But what about a mini cheese burger as a passed o-dourves? Suddenly it’s glamorous and fun! Don’t be afraid to serve your favorite comforts foods. Try serving them in an unconventional way or making them o’dourve sized. For more comfort food ideas, visit our Pinterest board O’Dourves. Just like every great outfit needs some textural interest, every party needs a fun decor piece that’s pure whimsy. Moss is our favorite way to add texture to a wedding’s decor. It’s fun, it’s different, and it’s easy to use! The beauty of moss is it can be put into any shape, on any surface. there’s nothing you can’t cover in moss. It’s beauty is in it’s versatile nature. It fits in at a rustic outdoor causal party just as easily as it impresses guests at an elegant black-tie affair. Moss suits every party and every couple when used correctly. See if these 16 moss wedding decor pieces can inspire you. As always, check Pinterest for more ideas! Event the best of photographers can’t be everywhere at once. That’s why you have wedding guests! Give them a wedding hashtag to post along side the pictures and everyone can see all the fun forever! Posting pictures is the easy part, coming up with a hashtag, that can be tricky. These 5 tips will help you come up with the perfect tag for your big day. 1. Make it easy to remember – Get clever but don’t get crazy. Your hashtag should be something easy to remember so guests aren’t struggling. The easier you make it for them to tag pictures, the more pictures you’ll get. 2. Get punny – Do your names ryme with anything? Is there a funny play-on-words? People love puns and they’ll love tagging your wedding pictures in a coupley-themes pun. 3. Capitalize first letters – When putting your hashtag on printed materials capitalize the first letter on each word to make it easier for guests to read and understand. It makes a run-on-sentence LookMoreIntentional andlesslikeaclutteredmess. 4. Check for other users – With millions of people using social media, there’s a chance your wedding hashtag has been used. Make sure it doesn’t link to anything unsavory and do a quick hashtag search before making a final decision. 5. Use your names or wedding date The more personalized your hashtag is, the less chance there is of someone else having already used it and the more likely your guests are to remember. Use your initials and wedding day, or your first and last names. Check out some of the cutest wedding hashtags we’ve seen on Instagram. Brides need some bling and belts are a fantastic way to add some personalized sparkle to your outfit. These are just a few of our favorites! 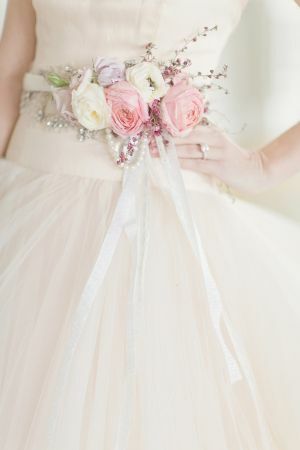 For more waistline bling, visit our Pinterest board: Bridal Belts and Sashes. Coordinates Collection is a jewelry company that creates unique one-of-a-kind pieces featuring location coordinates and custom engraving. With 10 bracelets, 7 ring designs, and 14 necklace and pendants there are almost too many choices to choose from. Each beautiful piece allows for the coordinates of a specific location and a custom engraving. Perfect for a wedding location and anniversary date. Coordinates Collection pieces come in semi-precious and precious metals, and a few months ago they released a ion collection that comes in a variety of colors. These creations are are beautiful way to remember a special place and a special someone. A Coordinate Collection piece is definitely tops on my Christmas wish list. P.S. They even have a wedding band!